What is with this crazy 3am update? Well… while preparing for bed I was informed that a website (Which I will refrain from naming or linking, as I don’t want to send them any traffic), has been hosing Amya under their own brand and server. Though there is one link to our website on the comic profile, there is no credit to any creator. So this blog will be centred around Copyright Infringement, and Amya. Amya is a registered copyright in Canada (No. 1085110), part of the writers guild, and can be found in the National Archives for reference of publication dates. 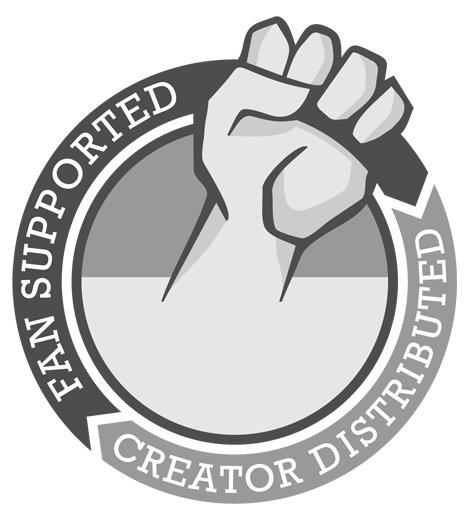 However, we are also fan supported and creator distributed. It means it is cool to download our work, e-mail it, or burn it to a CD and share it with your loved ones. 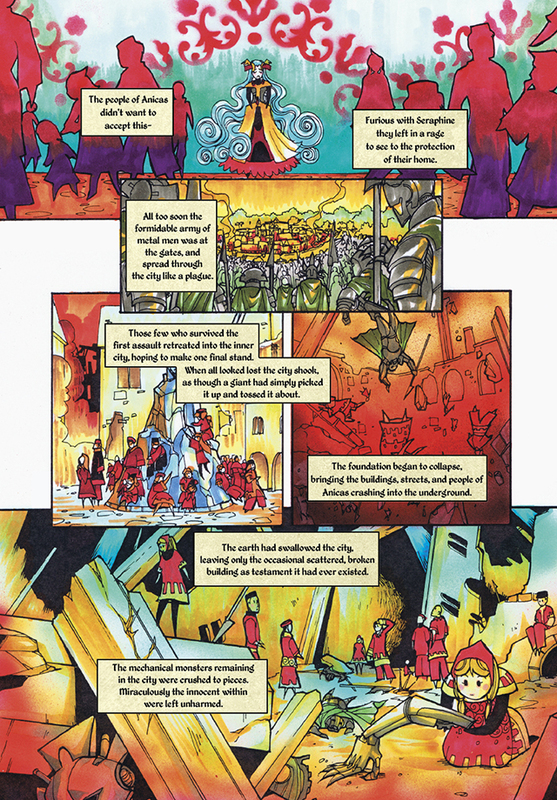 It is cool to colour a page and show off your work (Giving Rebecca credit for the lines, of course). It is cool to do fanart, fanfic, or fanfic art – whatever your heart desires (We will love you forever!). It is cool to add us to any comic archival site that streams from our own RSS feed and links back to our work. It is cool to open a page in paint or photoshop and change the captions for comical effect. It is cool to post our work as reference in reviews and media articles. You are free to remix, share, and redistribute our work as long as we are always given credit and linked to properly and respectfully. There is one thing that is not cool – and that’s downloading our pages and uploading them to your own server in an attempt to display, profit from, or attract viewership to your own domain in place of our own. It is important that our readers are receiving updates and content from our main site or approved mirrors such as Smackjeeves. You might wonder how important this is- since we do not use traditional ads on our site to create revenue; to this day we run on donations (The PW ad only pays for the PW ads we run on other comic sites). Even so, it is still extremely important for us to have an accurate analytical reading of our viewership. Your pageview each week open up opportunities for us to attend conventions as guest, run panels about web-comics, and many, many other things. Though these things do not nessisarily have a monetary value attahed to them, they are extrememly important to the growth of Amya. If you every want to add Amya to a comic archive, but are unsure if they will handle our content in a respectful manner – please contact us first! We are nice people, I assure you! We would be more than happy to help you evaluate the service before a decision is made. We love to hear from our readers! As a thank you for reading this long, random blog entry – enjoy an extra update today. hmm how curious. I wonder how that could have happened? I’ve subscribed to the RSS feeds of all my favorite comics, mostly so that I don’t forget who posts on what day, etc. I have noticed that some feeds post a link to the page saying there was an update, and some send the comic in it’s entirety. Do you still get “credit”for a page view or at least that I have read your comic if I do not navigate directly to your site? My guess is that since you are not directly ad supported, as stated above, you might have a tally of RSS subscribers as well as your page view data to determine your readership? If that is the case, do you get double credit if I click through to your site from the RSS feed? Just curious, I don’t want to hose your metrics by not hitting your site. We do indeed keep track of our RSS feed, and the number of subscriptions it holds. So you don’t need to click right onto our site from the feed. Both our RSS Feed and analytics are managed through Google; so we are to get an accurate depiction of the cross over. So we don’t get double credit by any means! An important additional point: the list of “what’s cool” Savannah gives applies **only** to Amya. That list is a specific **license** which Savannah grants us, the readers. That is her choice as creator. It should **not** be assumed every other webcomic creator grants the same license. A creator is well within their rights to disallow downloads (even for personal use), republication, “sharing,” clips or any other use not explicitly granted by the creator or allowed under copyright law. 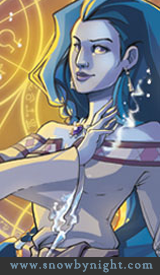 Savannah’s license is now clearly made known (and should be put or linked to on every page of the comic) so we know what we can and can’t do with Amya. Please don’t assume you can do the same with any other webcomic unless the creator of that comic says so. *Advises giving the names of the theives to the Anonymous hacking crew so they can use that #! @/*& bugger as a scratching post. Does this mean then that Faye’s dream at the start of Amya was not in fact a dream, but the final memory from her last life as Seraphine? Perhaps she will remember more of what it was like to be Seraphine as the story progresses. Or perhaps a conglomeration (montage?) of memories from her past life? What a curious twist of fate. Those poor people. Totally agree with you, Savvy—not cool! Gotta say, I’ve got a lot of respect for you; allowing your comic to be used as much as you do. Most artists are very possessive. Major kudos on that point, and I really really hope you have success in eliminating the jerks who are stealing your art!